Once again we are hearing that the door isn't closed for Carlos Vela to join El Tri and claim his position as the best forward in the team. This is welcome news for a country and a squad in need of good results and preparation heading into the World Cup this summer. But will Miguel Herrera relent? Herrera made it clear that it would be his way if he was to take over the national team. When he did so prior to the playoff match versus New Zealand he sent a clear message: Europe based players are not essential. He took all domestic-based players with a heavy tilt in favor of Club America. You can argue that indeed it wasn't necessary to have Andres Guardado and Chicharito Hernandez on the pitch to defeat lowly New Zealand. But we can hardly defend the fact that a domestic-heavy and perhaps América-heavy side might have trouble against the likes of Brazil, Croatia and Cameroon. But we can't seriously suggest that the all-knowing FMF could possibly allow for its megastars to get a snub come Brazil 2014. No, expect Europe to be well represented. But Carlos Vela is a special case. He has repeatedly shunned the national team for various reasons and on multiple occasions. So why is there still a chance for Vela? Simply put. Mexico has no better chance. Not right now. They have a good team if they include Chicharito, dos Santos, Peralta, but none of them are in as good shape as Vela and in such a great place professionally. Vela has been lighting it up for Real Sociedad in the Spanish Primera and is considered by many to be the best attacker in Concacaf at this point. Can Mexico afford not to have him at the World Cup? If we play out a scenario with Vela on board it simply makes Chicharito more honest, gives Peralta some haste and Jimenez something to strive for. For Dos Santos and Guardado it's an exhaust pipe for their pinpoint passes and darting runs. 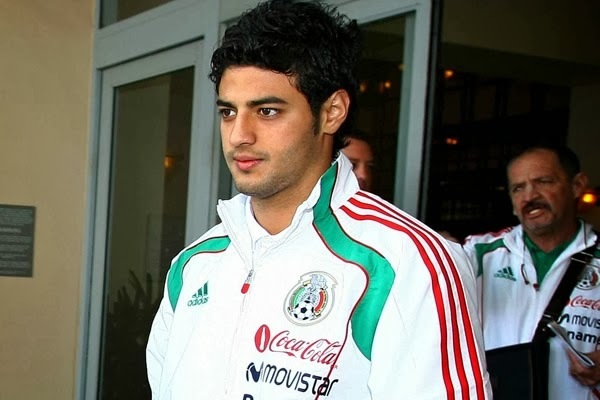 In short, Vela would make Mexico the attacking squad we liked so much in 2011 and 2012. Miguel Herrera has some soul searching to do and not just with Vela. He is scheduled to be appraising his European legion this week. Let us hope that he at least acknowledges some of the talent El Tri has abroad, even if Vela is left out of 2014. Michael Bradley to Toronto FC: too soon?